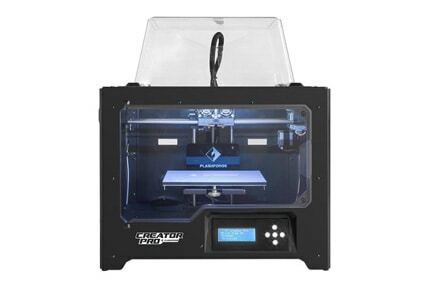 Let’s say you’re looking for a 3D printer, but you don’t want to mess around with filaments. 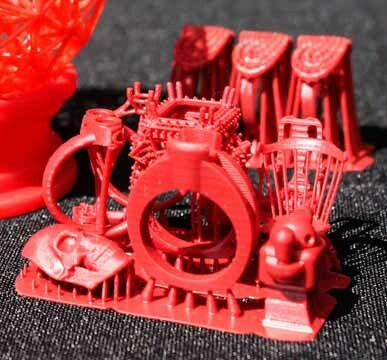 Instead, you want something capable of creating stunningly detailed models consistently. It goes without saying that such a product would be a little more expensive than its rivals, but that’s a price you’re willing to pay. 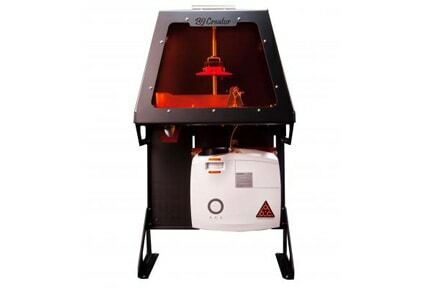 Enter the B9 Creator, a large, futuristic-looking 3D printer. This is a favorite among professionals, but how well will it fit your needs? We’ll be answering this question, and many more, in the full review below. 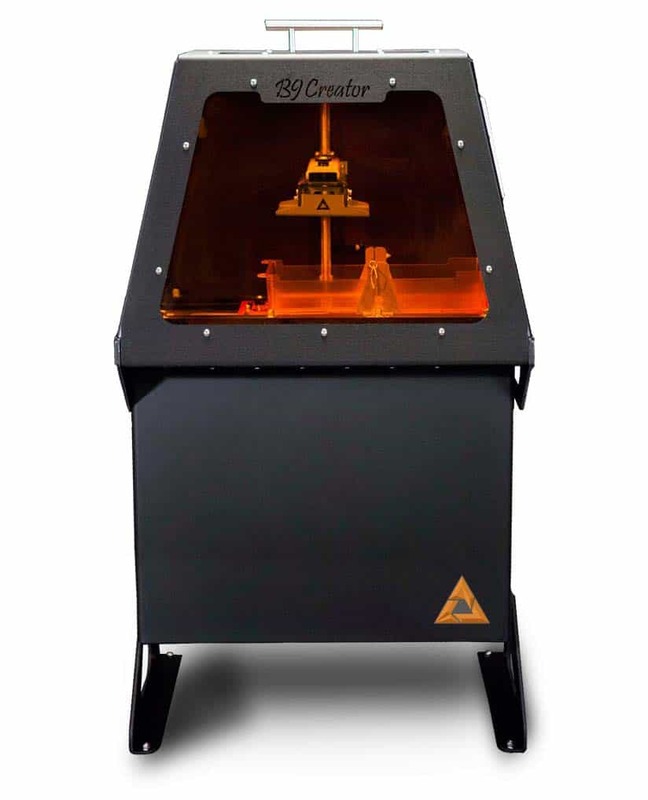 We don’t use the word monolithic often, but the B9 Creator definitely qualifies. It stands 33” tall, 18.5” wide, and 12” deep. 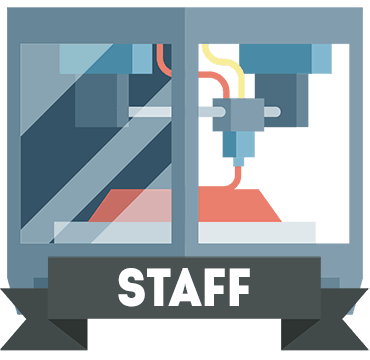 This means that you’re going to need a dedicated printing area, especially considering how long some prints will take. Still, with an eight-week order lead, there’s plenty of time to prepare. 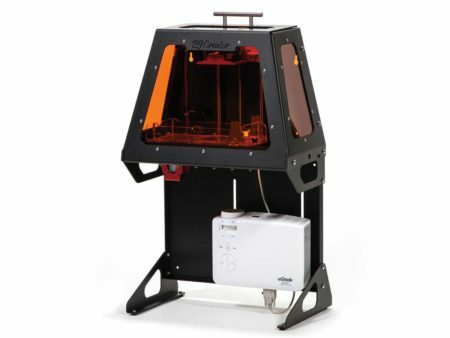 This printer is a fairly standard SLA model; it uses UV-sensitive resin to “grow” models, rather than building them layer-by-layer like traditional 3D printers. Notice the nice, big build area – the one thing everyone focuses on is print quality, but sometimes you just need to make something huge, and the Creator will allow you to. 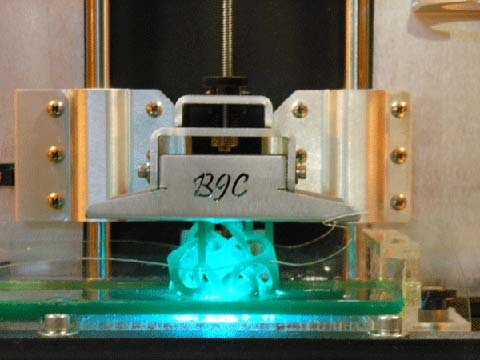 The B9 Creator can produce some extremely detailed models, although it does seem to fail prints more often than we’d anticipated. As such, we’d advise using just enough resin for each print, so you’re not wasting materials in the event of a failure. When it works, however, it works amazingly well. Complicated internal structures, curves, overhangs; you name it, the Creator can build it. We found that while you don’t always get the sharpest definition, this model does an excellent job at recreating tiny details. With a 25 micron setting, however, there’s definitely scope for tinkering. 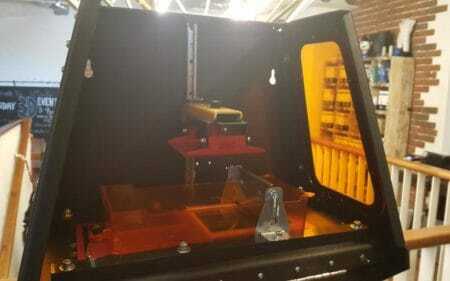 This line of 3D printers is claimed to be four times faster than the industry standard, with speeds of up to 100mm/s. If this model actually delivered consistently, we’d be very impressed, but its failures are just frequent enough to be irritating, particularly with how expensive the resin is. To be honest, there really isn’t much advanced functionality here. To its credit, the Creator provides free software for Windows, Mac, and even Linux, which is rarely supported. We also really liked that the resin vat was coated with silicone; this allows you to clean it without worrying about scratching or damaging it. However, this model’s connectivity is basic at best. There’s no WiFi, no LAN, not even an SD card slot. Instead, the only way to control it is via a USB-connected PC. We might have overlooked this with a low-end printer, but in this price range, you really expect a bit more. 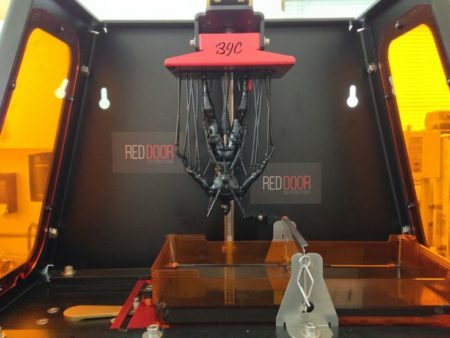 At around $5000, the B9 Creator isn’t what we’d call cheap. 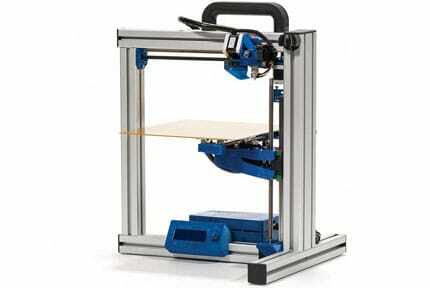 There’s also the fact that resin is far more expensive than, for example, PLA filament. As a result, this printer isn’t suitable for individuals but may fall into the perfect price range for businesses in the manufacturing sector. 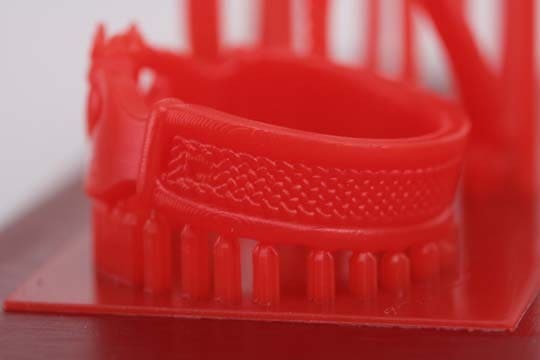 There is a caveat, though: failed prints slow it down considerably, so is recommended for scenarios wherein quality is more important than quantity. 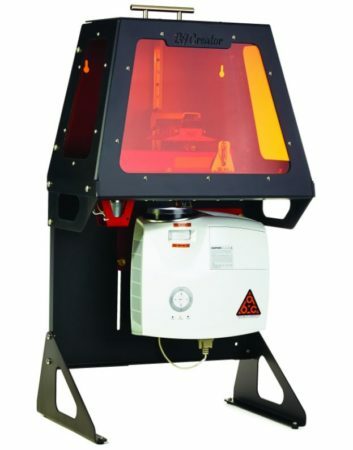 For instance, this printer could be used in medical or dental situations but would be unsuitable for product mass-production. You should also consider the cost of the training B9 offers: it’s almost $600 per person, a cost that soon adds up. There are quite a few support options in case you run into trouble. Firstly, if you’re still covered under the Creator’s 18-month warranty, you can get tech support by submitting a ticket. Stuck on something else? There’s a very active forum where you can look for more specific help. You could also reach out on one of the company’s social media channels, or get help using the live chatbot on the website. All in all, B9 has a fairly good range of support options, so it’s hard to complain too much. One minor issue, though: the Contact Us form only allows you to reach a forum administrator, not a customer services rep. The B9 Creator has a lot to offer but needs to work more consistently before it’s of use to the mass-market audience.